When was the last time. . .
. . .you did something that you loved? I am not talking about bungee jumping or para-sailing. Although, to be honest, those could be the things that you really love, of course. No, I am talking about the more mundane things, the ones we take for granted, every single day. We are so caught up in this rat race of a life that we very rarely savour and relish the ordinary. When I woke up this morning, I made a resolve. I told myself I was going to enjoy everything that I did today. …just standing by the stove and waiting for my tea to come to a rolling boil, while I basked in the warmth that it gave off at 5 a.m. on a chilly morning. …sitting and watching the sun rise slowly over the horizon, as I sipped and savoured my beverage. … cuddling my daughter while she lay twisted up in the blanket that kept her comforted all night long. …laughing ridiculously at a seemingly un-funny joke that she cracked whilst brushing her teeth. …watching her blow gently on the hot chocolate milk so that she wouldn’t scald her tongue and marveling at the fact that she is old enough to do that now! And the day had just begun! But I already had a huge smile on my face! This is the essence of our existence and children show us how to do it every single day. Live in the moment, enjoy it to the fullest and see how much happier you can be. If we made that our motivating force every morning, wouldn’t your life be more cheery, positive and uplifting? Because, believe it or not, these are the extraordinary moments of our lives. When we are old, tired and reminiscing, it is the memory of such precious seconds that will sustain us, for many hours to come. How do you savour Life’s little moments? 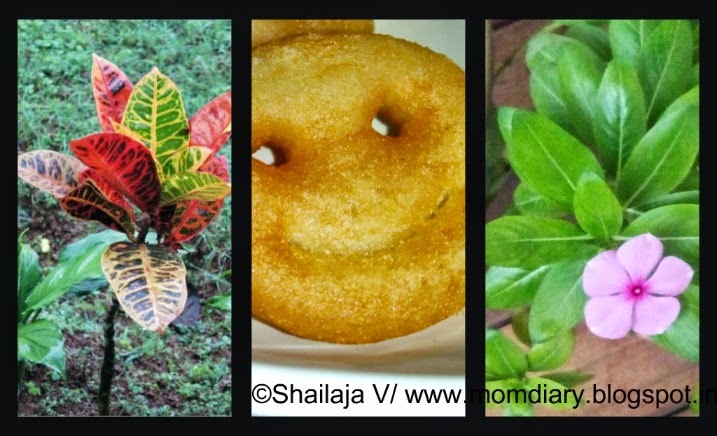 Such lovely vignettes from your life Shailaja. If that's how we wake up every morning the day is guaranteed to be a happy one. Thank you for all that positivity.. Much needed. Some days are just happy, Tulika. And I realised it's up to us to ensure that 🙂 Thanks for reading! I make my own memories, I guess.. when life is too much of a rush, I slow down and force myself to take a break. I head off home to be with my family and pet, I take impromptu trips with others to the dhaba (definitely food had to be involved! )… the little things to make up for the time lost at work. Such a sweet post, we do forget to enjoy the little things at times. PS. Your default sharing links – the ones below shareaholic in grey color are not working, do check. So beautifully written, so true, we do take these things for granted which happen to fill up our memories later. We moms usually start our days yelling at the kids, asking them to hurry up, whereas we should be savoring those moments. You've correctly stated that some of the most extraordinary and precious memories are those of moments that we would normally consider ordinary, even silly!